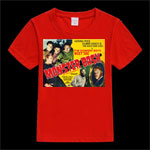 A beautiful red t-shirt with the lobby card styled design...The Bowery Boys Meet the Monsters with the East Side Kids, Frankenstein Monster, Vincent Price. 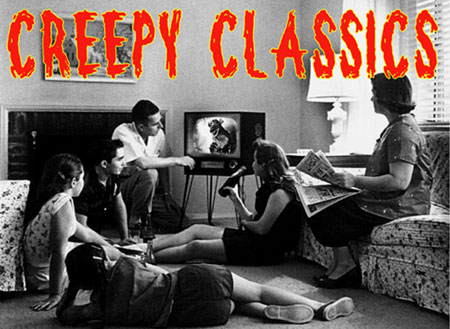 Commemorates the show with Brandy Gorcey and Victoria Price. Very limited. 100% pre-shrunk cotton. Men's sizes.